Our Mission at St. Philip the Apostle Catholic Church is to perpetuate the Roman Catholic faith through word, sacrament, and stewardship and to proclaim the love of Jesus Christ by loving and serving our neighbors in one faith. A telephone call from Ms. Linda Carneal, a resident of Fayette County, to St. Ann Church in Bartlett, was the beginning of the establishment of a Parish community in Fayette County. Ms. Carneal was concerned about the lack of opportunity for Mass in Fayette County. As a result of that call, on May 2, 1975, the Fayette County Catholic Mission was established. The Parish met in St. Thomas Episcopal Church in Somerville, Tennessee, from its foundation until the completion of the first church and Parish facilities in Warren on September 20, 1981. Rent was paid to the Episcopal Diocese, and the first Mass was said there on Sunday, May 4, 1975. Rev. J. Leonard Oglesby recalls the rent was $100.00 a month for the 6 years. Drew and Nancy Ward said they had four space heaters in the winter and no air conditioning in the summer. During the six years when the Mass was held in St. Thomas, parishioners were involved in planning and setting up the church every Sunday. Flowers were brought from homes to the church. Each Sunday, following the celebration of the liturgy, the portable altar was removed and stored, and devotional statues and banners were taken down. Parishioners took turns conducting the yearly church picnic at their homes. Rev. Victor P. Ciaramitaro, associate of St. Ann Catholic Church, went with Father J. Leonard Oglesby during the yearly visits to each family in the Parish. Father Victor remembers the parishioners decorating the church at Christmas as a traditional picture of Currier & Ives. In 1978, there were about seventy people attending the Sunday services. There were blacks, whites, Filipinos and Vietnamese, all working together in establishing the mission. Early in 1980, Father Oglesby approached Bishop Carroll T. Dozier, then bishop of the Memphis Diocese, about the need for a building. In June of 1980, a fund drive was started in St. Ann Parish, and among Catholic residents of the Somerville area, as the first step in laying a financial foundation for the eventual erection of a church building in the area. In August of 1980, Father Victor Ciaramitaro became the new pastor of St. Ann Catholic Church in Bartlett and took on the responsibility of building a new church in Fayette County. 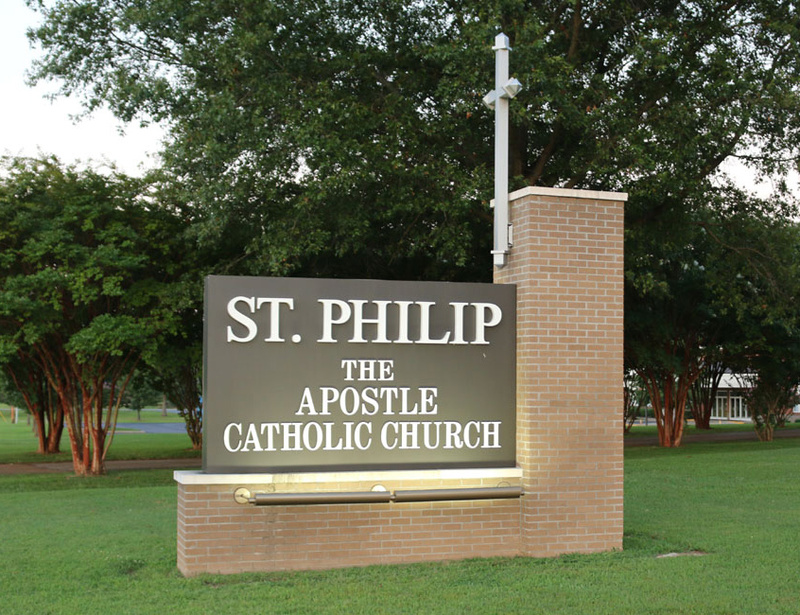 On August 20, 1980, Bishop Dozier formally established St. Philip the Apostle Catholic Church to serve Catholic residents and said that construction would begin later in that month on a church to house the congregation in Warren, Tennessee. Fayette County is very close to the center of Catholicism in western Tennessee,” said Bishop Dozier in 1980. “Yet it never has had a witness to our faith in the form of full-fledged Parish and church.” Now we are to have our own permanent seat of witness in the county” said the Bishop. St. Philip, being one of the earliest of the apostles, is a great symbol for the Catholic presence in this area.” The Ladies Guild was established shortly after the church was opened. Their first purchase was a nativity scene for the church, which was refurbished in 2003, recalls Rose Marie Johnson. The much needed Parish Life Center opened on June 7, 1998 and was dedicated Schaubroeck Hall for the work and service by Ray Schaubroeck. The Parish has also been served by the following sisters: Rose Sullivan, SCN; Alice Adams, SCM; Helen Goatley, SCN; Josephine Wathen; SCN; Eileen Cahalane, OSF; Bridget Lennon, OSF; Mairead O'Reardon, OSF; Alice Pittz, OP; and Mary Della Quinn, OP. Sisters Eileen, Bridget, and Mairead were instrumental in establishing the roots of the community out-reach that has evolved into an ecumenical outreach institution named Fayette Cares, which serves the entire Fayette County. Sister Jeanne Dion, OP served as Pastoral Administrator from July 1, 1993 until June 15, 2001. Priests who have served at St. Philip Catholic Church are: Rev. Victor P. Ciaramitaro, Rev. John Scola, Rev. Bruce Cinquegrani, and Rev. Stephen Baxter. 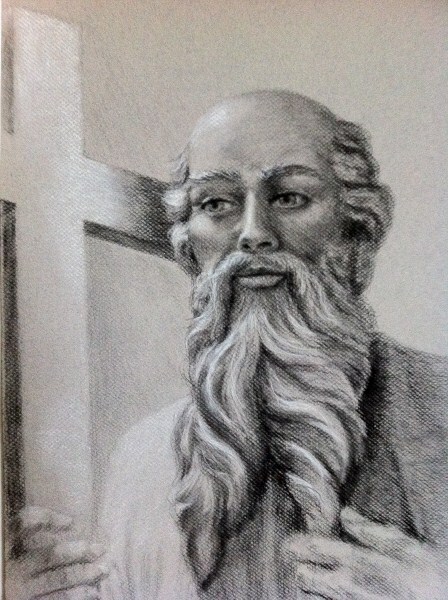 Rev Cyril Wagner, O.F.M. Served as sacramental minister until his death in June 2000. In June 2001, the priests from St. Francis of Assisi Catholic Church, under the direction of Rev. Msgr. Peter Buchignani, began serving the Parish of St. Philip. Bishop J. Terry Steib, SVD, D.D. appointed Deacon Bill Davis as pastoral administrator. The men's club was established in 2002, and joined the Ladies Guild on yearly projects for the service of the church. The church was renovated in 2003 with the expansion of the walls of the church, new carpets and the addition of pews donated by St. Ann Catholic Church. The Knights of Columbus, Council #14482, was established for St. Philip the Apostle Catholic Church on March 25, 2008 with 33 members. In January 2003, Deacon Mike Blome' and his wife Peggy were accepted into the Aspirancy Program for the Deaconate Program for the Diocese of Memphis. Following five years of twice monthly education and spiritual training on Saturdays in churches throughout the Memphis and Jackson Deanery, Deacon Mike was ordained a Permanent Deacon on April 19, 2008. Peggy Blome' received a Professional Catechist Certificate. Rev. Stephen K. Kenny, on July 24, 2008. With the steady increase of parishioners, Father Kenny added a second Mass on September 26, 2008. Therefore, Saturday night Mass was added at 5:00 PM and Sunday Mass remained the same at 9:30 AM. Daily Masses were also established for the Parish. A rectory was purchased for the church in March 2009, with an open house on May 31, 2009. On August 15, 2015, Mr. Andrés de Jesús Soliz-Chavez, M.A., joined the Pastoral Staff at St. Philip the Apostle Catholic Church as its first Pastoral Associate and, shortly after his arrival, the Parish became a fully bilingual Parish with all correspondence available in both English and Spanish. Live simultaneous Spanish interpretation was provided at the 8:00 AM Mass on Sunday mornings, and at various special events and celebrations held at / or provided by the Parish Community. July 1, 2017 marked a special date for the St. Philip community as Rev. Robert "Robbie" Favazza was named by Bishop Martin D. Holley as the new Parochial Administrator of St. Philip. 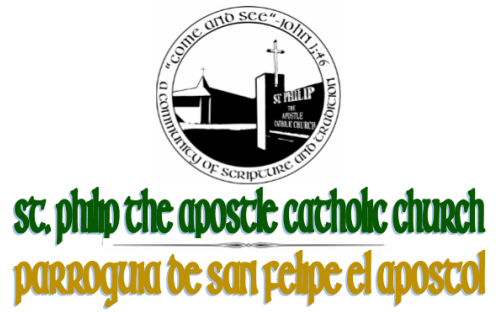 With an increase of the bilingual community at St. Philip's, Fr. Robbie was a perfect fit as he is fluent in both English and Spanish. On September 23, 2018 Rev. Robert "Robbie" Favazza was officially named by Bishop Martin D. Holley as the new Pastor of St. Philip the Apostle Catholic Church. Our Parish now is comprised of families that have lived in Fayette County all of their lives, plus families moving into one of the fastest growing communities in Tennessee.